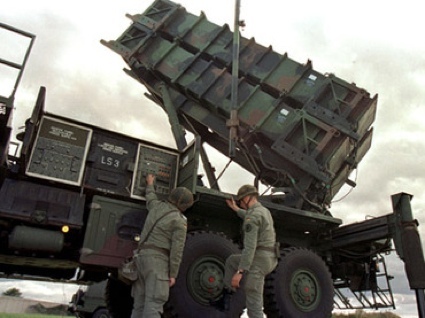 KIEV, Ukraine -- The North-Atlantic Treaty Organization (NATO) is holding talks with Kiev over Ukraine’s possible participation in the alliance's planned missile defense system n Europe. Two soldiers operate a US-built ''Patriot'' anti-missile system. According to the head of the NATO Liaison Office in Ukraine, Marchin Koziel, the deployment of the system's elements is a priority for the alliance. He says during the summit in Lisbon, NATO heads agreed on the possibility of involving non-member countries – or “third countries”- in the planned missile shield in Europe. Ukraine had long been bidding to join the military alliance. However, after Yanukovich replaced his pro-Western predecessor Viktor Yushchenko, the country's policy made a u-turn. The new leader signed a decree declaring that Ukraine would remain non-aligned to any political-military unions, but would still continue to cooperate with NATO and other blocks based upon common interests.